Before accepting a barrel for machining to accept screw-in chokes, you must measure the outside diameter (O.D.) to determine if there will be sufficient wall thickness after machining. “Mike” the O.D. of the barrel and the O.D. of the tap for the particular gauge. Subtract the O.D. of the tap from that of the barrel, divide by 2, and this will give the wall thickness after machine, providing the O.D. of the barrel is concentric with the inside diameter (I.D.). A sample calculation appears below. We DO NOT recommend installations in barrels where the resultant wall thickness will be less than .015″, providing the I.D. of the barrel is concentric with the O.D. If the I.D. is not concentric with the O.D., you will have to make your own decision as to whether the installation will be safe. Exceeding these dimensions WILL CAUSE DAMAGED CHOKE TUBES and there is a GREAT POSSIBILITY OF CAUSING A BARREL BLOW-OUT! Check EVERY installation before firing to make sure the tube does not protrude into the bore. Back-bored of jug-choked barrels are usually NOT suitable for screw-in choke installation. “Choke” is the difference in diameter between the cylinder portion of the barrel and the constriction at the end of the barrel. This determines pattern density of the shot charge. This difference is measured in thousandths of an inch. For instance, a “Modified” choke will show a 0.020″ difference in diameter. “Full” choke will show a 0.040″ difference in diameter. These are the general dimensions, if you’re choke is off by a couple of thousandths its not a crisis. There is no absolute standard to which all barrel manufacturers adhere to, bore dimensions in shotguns vary widely. So, you will sometimes get a “tighter” or “looser” pattern from a given choke tube in a particular shotgun. 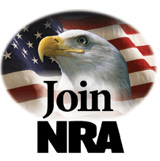 Brand of ammo, loading, and size of the shot will make a difference as well. To get optimum pattern density will require some experimenting. Two, otherwise identical shotguns from the same manufacturer may have very different preferences in ammunition or you can try different diameter chokes. As a general rule, steel shot will pattern about one choke “tighter” than lead shot. Therefore, some choke tubes will say something like “Lead-Modified, Steel-Full”. Normally Steel chokes are marked as such. 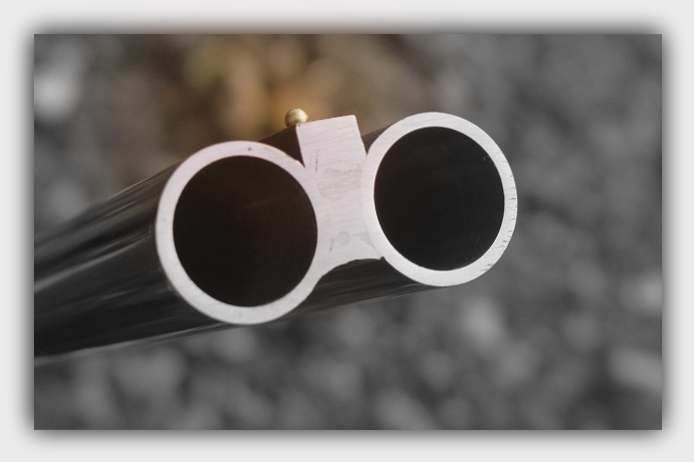 Always check to be sure that your shotgun barrel and/or choke tubes are steel shot compatible before shooting steel shot in your shotgun. If in doubt, contact the manufacturer of your barrel, shotgun or choke tube. Choke tube lube is an anti-seize compound. It fills in the tiny spaces between the outside of the choke tube and the inside of the shotgun barrel, in the thread area, to keep the tube from getting ironed into the threads of the barrel. By filling the threads with lube, powder residue build up is not able to seep around the tube. Powder residue build up is a primary reason that choke tubes sometimes get stuck in a barrel after extended use. So, remove and clean the tubes as well as the tube seat in the shotgun barrel on a regular basis. Using choke tube lube will aid in preventing potential problems in this area. Experienced shooters use their choke tube wrench to occasionally unscrew the tube a quarter of a turn or so, and then re-tightening it to make sure it is properly installed and smug on the tube seat. This prevents tubes from accidentally backing out, causing damage to the tube and the end of the shotgun barrel.